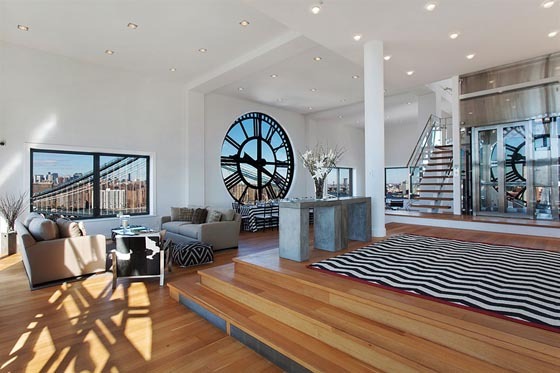 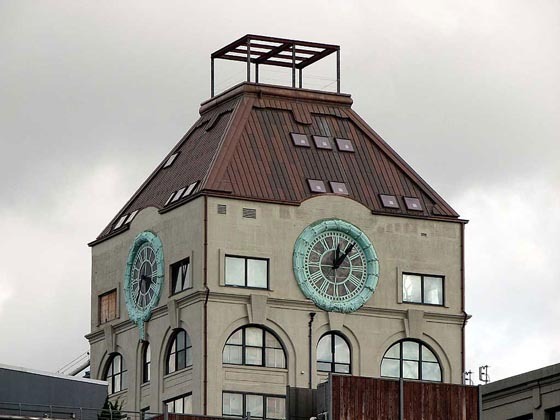 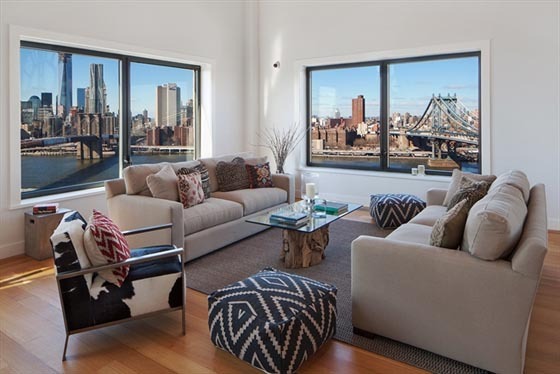 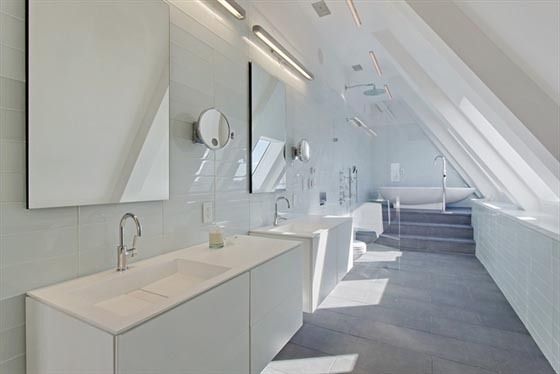 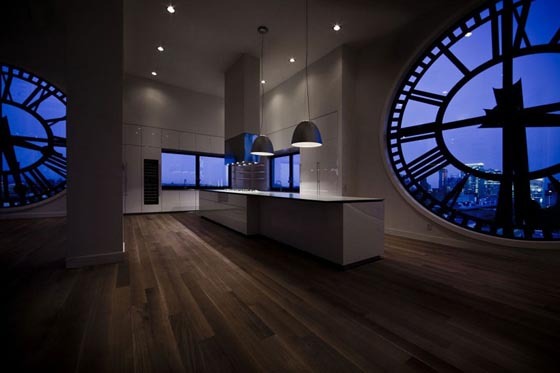 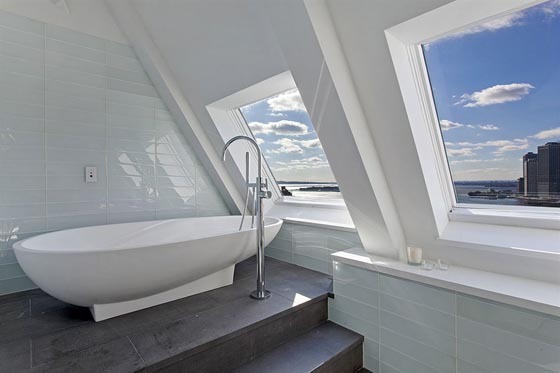 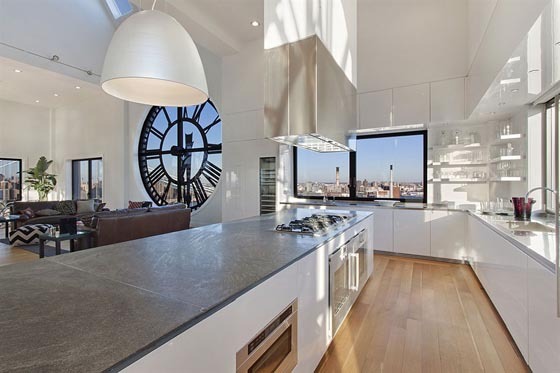 Brooklyn’s iconic Clock Tower on Main Street, New York, was transformed into a jaw-dropping triplex penthouse, in vibrant DUMBO (down under the Manhattan bridge overpass) neighborhood. 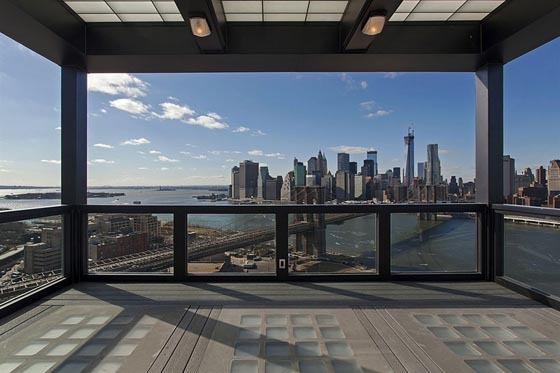 The 6,813 square feet space will easily awe you with its architectural beauty, luxurious finishes and spectacular 360-degree views. 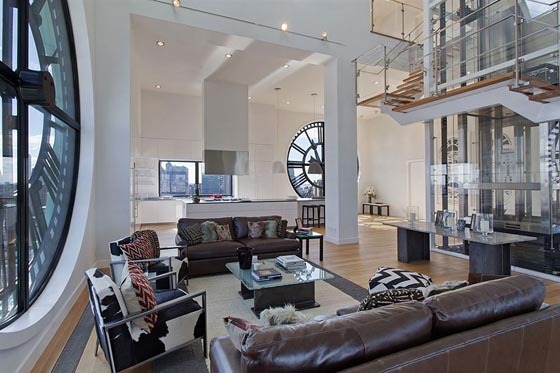 Designed for flow and functionality, a custom glass-enclosed 3-story private elevator and architectural wraparound stairway makes this place special. 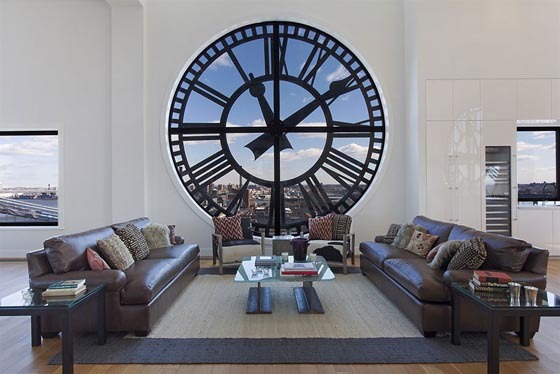 Of course, the best part of the penthouse is 4 famous 14-foot glass clocks encircling the apartment, which makes it a dreaming place to entertain your guests.